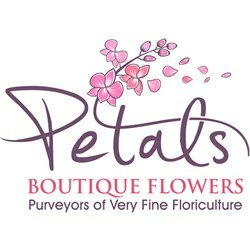 This Classical Christmas arrangement from Petals adds a fresh touch at this special time of year. 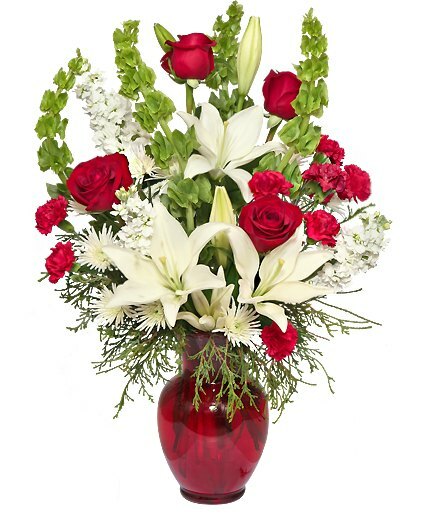 Red roses jump out of white lily blooms with bells of Ireland dancing in the background. Arranged with seasonal fresh evergreens in a red vase this arrangement creates a celebratory atmosphere for all. Christmas traditions vary from country to country. Christmas celebrations for many nations include the lighting of Christmas trees. Additionally, Christmas carols are sung and stories told. Popular topics include figures as the Baby Jesus, St Nicholas, Santa Claus, Father Christmas, Christkind and Grandfather Frost. Of particular note is the observance of Christmas for military families of soldiers and sailors serving abroad. Also, The Los Angeles Lakers have made it a tradition to have a home game on Christmas. As of 2015, the NBA now schedules five games on Christmas, usually including classic rivalry games as well as a rematch of the previous season’s NBA Finals.